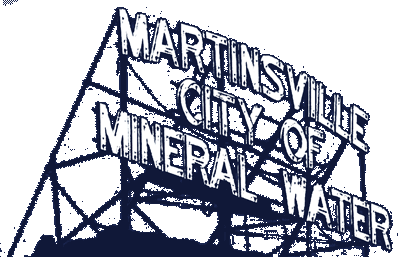 Mayor Shannon Kohl called the Martinsville Common Council to order on Monday, October 22, 2018. Councilman Ben Merida led the Prayer to those in attendance. Mayor Kohl then led the attendees in the Pledge of Allegiance. A quorum was declared present. A motion was made by Councilman Ben Merida to waive the reading of the minutes of October 9, 2018 and to accept the minutes as written. Councilman Terry Buster seconded the motion. The Motion passes 7-0. Mayor Kohl reported Lt. Governor Suzanne Crouch was in Martinsville earlier today. There was a round-table discussion at 21 North with downtown investors. The group also had a tour of our downtown. On Tuesday, those that dine at Holy Smokes, can request 15% of the profits be donated to the Mayor’s Youth Group. The donation will fund projects the Youth Group have planned. City Engineer Josh Messmer reported Community Crossing Grant will finish up at Cramer Place. Messmer felt Wallace Construction had done a great job on paving downtown. There were a few minor errors that Wallace will credit back to the City. Banning Engineering continues to work on Section 2 of the utility mapping project. Messmer said he will discuss the Mitchell Street Lift Station project later in tonight’s meeting. The Redevelopment Commission is working on a 10-15year Master Plan. Finally, Messmer said the Reporter-Times has been sold. The City is in talks with the developer to transform the building into a new City Hall. Ordinance 2018-1788 / 2019 Salary Ordinance for Elected Officials –A motion to accept and allow the 2019 Salary Ordinance for Elected Officials was made by Councilman Terry Buster. Councilman Eric Bowlen seconded the motion. The Motion passes 7-0. A 2% raise has been approved for 2019. Ordinance 2018-1787 / 2019 Salary Ordinance for Appointed Officials and Employees – A motion to accept and allow the 2019 Salary Ordinance for Appointed Officials and Employees was made by Councilman Terry Buster. Councilman Chip Keller seconded the motion. The Motion passes 7-0. A 2% raise has been approved for 2019. Ordinance 2018-1791 / 2019 Budget – A motion to accept and allow the 2019 Budget was made by Councilman Eric Bowlen. Councilman Terry Buster seconded the motion. A roll call vote was taken. Those voting aye were: Councilmen Buster, Lanam, Deckard II, Bowlen, Keller, Merida and Fuller. There were no nays. The Motion passes 7-0. Ordinance 2018-1790 / Additional Appropriation – Police Gas/Oil and K-9 – as this is the first reading of the presented ordinance, there was no action. Action will occur on November 5, 2018. Resolution 2018-530 / Transfer of Funds – Mayor and City Engineer –It is being requested excess funds in the Council Budget be moved to the Mayor and City Engineer Budgets due to a short-fall. A motion to accept and allow the resolution was made by Councilman Terry Buster. Councilman Chip Keller seconded. The Motion passes 7-0. Ordinance 2018-532 / Establishing Department of Public Parks – Jim Gutting of Barnes and Thornburg discussed the problem with previous ordinances having been miscoded per Indiana Code. Therefore, the ordinance is being presented tonight to correct the code to 36-10-3. City Attorney Anne Cowgur said there were too many discrepancies and this ordinance would give a fresh start. It is noted this ordinance will reestablish a Department of Public Parks. A motion to suspend the rules so that the ordinance could be acted upon tonight was made by Councilman Chip Keller. Councilman Ben Merida seconded the motion. A roll call vote resulted is Councilmen Buster, Lanam, Deckard II, Bowlen, Keller, Merida and Fuller voting aye. There were no nays. The Motion passes 7-0. A motion to accept and allow Ordinance 2018-532 was made by Councilman Chip Keller with Council Ben Merida seconding the Motion passes 7-0. Ordinance 2018-533 / Redevelopment District Bond– Jim Gutting of Barnes and Thornburg and Matt Frische of Reedy Financial Group, presented the ordinance that will allow the City to move forward with the sale of a bond in the amount of $2,100,00.00. The bind proceeds will be used to replace the Mitchell Street Lift Station. A motion to accept and allow the ordinance was made by Councilman Eric Bowlen and seconded by Councilman Mike Lanam. The Motion passes 7-0. A motion to accept the claims as reported was made by Councilman Eric Bowlen and seconded by Councilman Terry Buster. The Motion passes 7-0. Mayor Kohl announced Treat or Treat hours will be beginning at 6:00 p.m. through 8:00 p. m. on October 31, 2018. Truck or Treat will take place on the Square. There being no further business, Councilman Terry Buster made a motion to adjourn. This was seconded by Councilman Kris Fuller. The Motion passes 7-0.